Tina Powers is Senior Director, North America Commercial Alliances at Oracle Corporation. 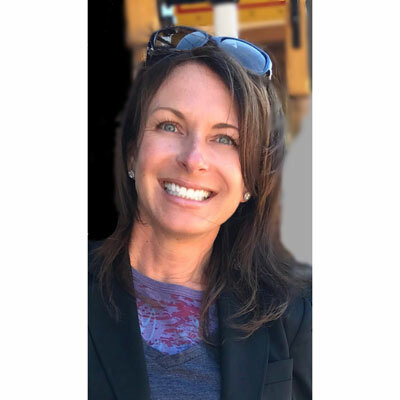 She is responsible for the ongoing development and execution of the Commercial System Integrator partnerships, strategies as well as partner revenue, across Oracle's North America Cloud business. Her team is dedicated to driving joint revenue with partners across Oracle's product portfolio and driving the collaboration of a multi-pillar approach, leveraging the global assets. Previously, Tina led Oracle's Accenture and Deloitte Technology alliances in North America, and was also responsible for Alliance and Channels Global System Integrator's Security portfolio within Oracle's North America Technology organization. In this position, Tina transformed the strategic alliance organization to advance a Security go-to-market strategy and broadened partner activities to drive revenue. Additionally, she played a key role in integrating alliance functions with Deloitte across Oracle's Applications, Technology and Hardware lines of business. Powers joined Oracle in October 2006, bringing more than 10 years' experience in a variety of sales, alliance and business development roles within software companies and consulting firms such as Unisys and leading top global partner vendors like IBM, SUN Microsystems and Computer Associates. Tina Powers attended Ross School of Business, University of Michigan and Merrimack College, North Andover, Massachusetts. Over the past year, I have personally helped design and drive a strategy, with my direct reports, in which Oracle's partners adopt a competitive methodology linking SaaS and PaaS. This forward thinking methodology, one year ago, leverages our partners' expertise to expand the Oracle footprint within their customers. This strategy has created a competitive advantage for the partners as well as Oracle and has opened up new opportunities for existing partners as well as grown the partner ecosystem that were previously not on the Oracle technology radar. This new strategy has gained the visibility of partners, customers and Oracle executives and is under discussion to grow and increase resources against going into next FY in June. Over the next year, I anticipate 2 significant changes in the business. One, the business moves toward a MSP type of model where partners are managing their customer environments or opens up opportuntuties for them to do so. The other opportunity over the year is for service providers to further incorporate their IP into their existing reference architecture to include Oracle products and take the solution to market. I admire Tina Fey; she is not only an actress/commedian, but a writer and producer. I truly appreciate her humor and her subtle way of illustrating sarcasm in a thoughtful, pithy and intelligent manner. She is very talented and not pretentious, which I admire. She has several quotes I love, two in particular, "Do your thing and don't care if they like it" and one that I like to use with my team to foster collaboration, "To me YES, AND means don't be afraid to contribute. Always make sure you're adding something to the discussion. Your initiations are worthwhile." I would tell my 16 year old self that the only thing you need to succeed is confidence and time. If you have confidence, you can accomplish anything and give yourself time to accomplish it! Money and title seems important at a certain stage in your career, however, life and life experience coupled with state is more critical. Take a look at your life and your wants and needs at the time and do your best to create a balance. I have a great skill of fostering great collaboration across my team, if I could pick up an additional skill, which I am working on it's to become more technical. I'd like to be the go to person to fill in the gaps of where the partner's technical skills fall short and can be built into the reference architecture and there is an answer they can respond to. Late last fall, I had the opportunity to visit the Anne Frank House in Amsterdam. Although I had read The Diary of Anne Frank as a child, the visit to the museum prompted me to take another read. It was a different story the second time and at this point in my life, I had the opportunity to share it with and discuss the history with my two young boys. We had several conversations about history and religion that stemmed from it; and I'll plan to take them to the museum to share the experience.